The expulsion of Russian diplomats by more than twenty governments is a remarkable show of unity and a deepening of Moscow’s rift with the West. How significant are these moves by the Trump administration? Traditionally, expulsions like these have been confined to what one government sees as objectionable behavior on its own territory by the intelligence personnel of a rival state. There’s usually a round or two of retaliation, and then things go back to normal. We’ve obviously seen a change in one part of this pattern already, with concurrent actions taken by the United States and numerous allies. But we want to watch for other changes as well. Remember, there have been many calls, especially in Britain, for a tightening up of policies related to money laundering and the ability of Russians to move their wealth in and out of western countries. Less than two weeks ago, the United States imposed new sanctions related to meddling in its elections. American officials have also complained about a growing Russian cyber threat to civilian infrastructure, especially the electrical grid. What we’re hearing is a far broader set of grievances toward Russia. The diplomatic message is: Russia has ceased to be a member of European polite society. It acts like an outlier and will be treated as such. If that’s a message European governments are getting more comfortable with, relations won’t get back to normal for a while. How does this reflect the administration’s internal deliberations on Russia policy? If you’d asked experts and insiders about the administration’s internal deliberations on Russia policy last week, most answers would have portrayed a confused and divided team. Remember the president's call to Vladimir Putin despite his staff’s advice not to congratulate the Russian leader after his recent reelection. Some people have even suggested that it was Trump’s anger at this leak that led him to push National Security Advisor H.R. McMaster out more quickly. But if Putin took any encouragement from that call—and from its aftermath—he’ll have to reconsider now. The new lineup of senior national security staff is surely both more hostile to Russia than it was before—and more likely to bring the president along with them. You’ll have a national security advisor in John Bolton and a secretary of state in Mike Pompeo who are more likely to get Trump to follow their advice the next time he gets Putin on the phone. 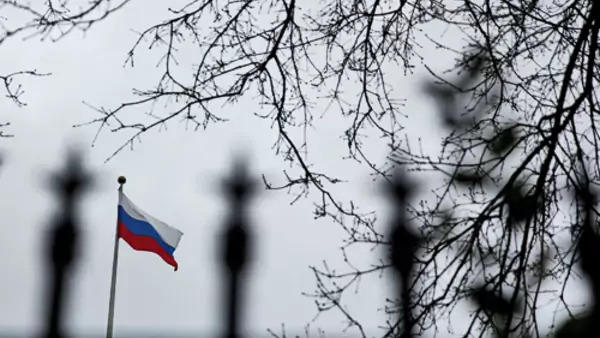 Some EU countries have expelled Russian diplomats while some haven’t. How divided is the bloc on Russia? The EU has never been of one mind about how to handle Russia, but nobody has made any money in the past four years betting that the Europeans would lift sanctions. To the contrary, again and again EU policy has remained united even though many members have disagreed with it. They were willing to put aside their differences, to follow the lead of the Germans, and to listen to the United States. If anything, what we’re seeing now is a deepening of that unity. After all, this week’s expulsions are a show of solidarity with a country that is leaving the EU. And the Poles, who have lately been somewhat estranged from Europe, apparently took a leading role. And after a year in which Europeans wondered where the United States was headed, we’ve seen a strong show of support from Washington to stand together against Moscow. Quite apart from the expulsions themselves, all this is a real warning sign to Putin that his policies are not working. Where do you see Russia’s relations with the West headed? It’s wrong to think that this is a breach that can’t be healed. Many European leaders want to keep relations with Moscow from becoming too hostile. There’s always a détente wing among the Social Democrats in Germany. A new Italian government will want to patch things up, even ease sanctions. Southern Europe in general is more sympathetic to Russia than the north. And, as long as Trump remains president, American policy will be unpredictable. All the same, there is a new suspicion of Putin among most Western governments and a greater conviction that he’s more of a problem than a solution. What more should NATO and EU governments be doing to alter Russia’s behavior? These diplomatic gestures seem to have little practical effect on Putin. People often underestimate how much NATO and the EU have already adjusted their policies toward Russia. In the past four years—that is, since the Ukraine crisis—a consensus has taken shape around the need for more defense spending and for forward deployments to defend new allies. Energy policies have made it harder for Russia to use gas supplies as a weapon. There’s been less progress in limiting other Russian tools, from money to hacking to disinformation to—as we’ve just discovered—nerve agents. But the direction in almost every case is the same: toward a clearer understanding of the problem and a discussion of ways to push back. Putin is far more isolated and under far more pressure than just a few years ago.